Fuel type - are you looking specifically for electric, propane water heaters or natural gas? Desired usage - the size of your home, the number of users, etc. can all be important things to consider when choosing the right model. 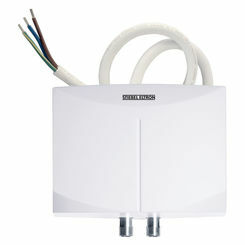 Tankless and conventional gas water heaters are both whole house systems. This means they are able to adequately provide hot water simultaneously to more than one fixture and typically throughout the entire home. Point of use systems are individual units that install directly under the sink or in a closet. These units only provide hot water to one specific fixture. Though a gas water heater typically requires a bigger up-front investment you save in the long run. 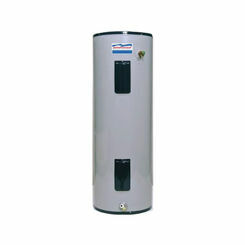 For additional savings high-efficiency gas water heaters are a customer favorite. Something else to keep in mind is whether or not the unit must be vented outdoors for safety. For increased safety we recommend sealed combustion or power venting. 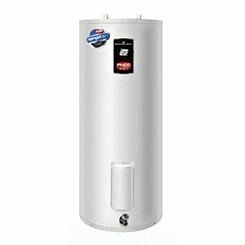 One last thing to consider with regard to your gas hot water heater is whether or not you live at a high altitude. 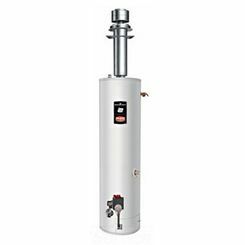 In high altitudes there is less oxygen for the water heater to function correctly with the pilot and main burner. 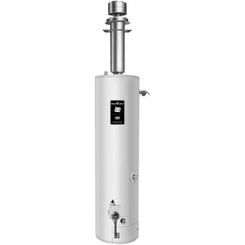 The only time you would need to worry about using a high altitude water heater is if you installing the unit at an altitude level of 2,000 feet or higher. Most units are made for locations at sea level. 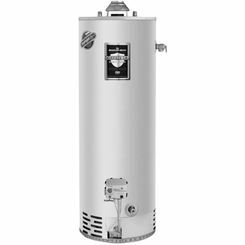 By purchasing a high altitude water heater, the mechanism of the unit makes up for the missing oxygen in the air and still provides the right fuel mixture to run the machine properly. We’ve grown so accustomed to modern conveniences it’s hard to remember there was a time when hot water was only available to homeowners with the use of their stove. 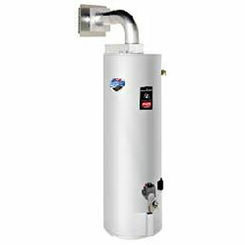 Natural gas tank hot water heaters are one of today’s most efficient solution to yesterday’s problem. Though a gas water heater may be a more costly upfront investment, you save in the long run with usage. Having a natural gas tank water heater can do a ton for your home as well as your wallet. Here are just a few of the ways purchasing a natural gas water heater can benefit you. Less Electricity Used: Though you have to spend more in up-front costs, natural gas water heaters can save you money over years and years of usage (the result of a higher output and little-to-no electricity costs). Best of all, gas usage is barely a problem, meaning your bills will be effected quite positively. In other words, natural gas water heaters are some of the most efficient water heaters out there, and are certainly worth a try. Larger Output/Less Recovery Time: With this, no longer do you have to worry about your family using up all the hot water. Natural water heaters offer much larger tanks—and quicker heating times—all adding up to more hot water for your home. If you have a large family, or if you all like taking long showers, this is extremely useful. Natural gas is the way to go for most. The question then comes down to which model would best serve my household? There are several options to consider. The first thing to do is to choose the size that will best fit your needs. Water heaters are sold on basis of how many gallons they can hold. The best way to determine the size of the equipment you need is the water heater’s "first-hour rating" or “recovery rate". This is the maximum amount of hot water that can be heated and supplied in one hour, starting with a cold tank. First-hour ratings for natural gas storage water heaters range from 41 to over 131. The tank allows for water to be stored hot and ready for use at any time. 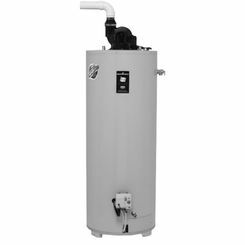 Storage tank water heaters are also known for rapid recovery and can supply great water flow rates over short periods of time. These units require a space to be stored. The insulated storage tanks are usually made of steel and are lined inside with glass or another material to prevent corrosion. The tanks also contain an "anode" rod, composed of one or more metals, which attracts corrosion away from the rest of the tank’s components. The natural gas burner produces some combustion which includes water vapor and carbon dioxide. The burners are vented out through chimney or vent pipes and the burner is lit by a standing pilot light. 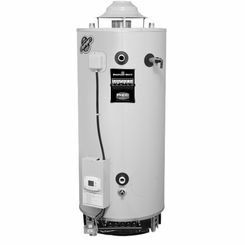 Storage tank heaters are free-standing and their wide variety of venting configurations gives homeowners many choices for location and installation. What Size of Tank Do You Need? This is a VERY important question to ask yourself before making your propane water heater purchase. Families with more people in their family will need a much bigger tank than a small family. In some cases, individuals might want to purchase two tanks just to be covered completely. You can find graphs and calculators online, which will show you how to calculate the size of tank you will need. What Is the Recovery Rate? 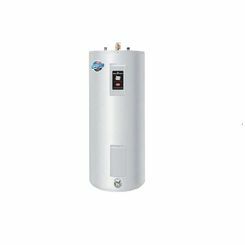 If you are someone who is constantly using hot water you will want to find a propane hot water heater that has a quicker recovery rate. The recovery rate is the number of gallons of water that can be heated in an hour. Someone who does a lot of dishes, cleaning, and showering will want to find a water heater with a high recovery rate. Will the Size You Need Fit in the Space You Have for it? This is another really important thing to keep in mind while you are shopping around. 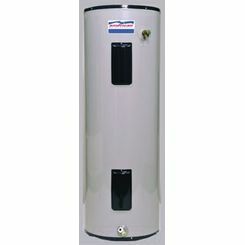 If you live in a small home that doesn't have much extra space for a water heater you don't want to go out and buy the biggest one out there. 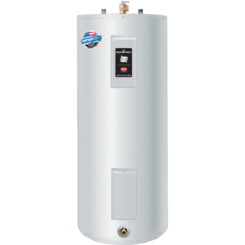 Make sure you are purchasing a water heater, which will fit in the space that you have for it. Electric heaters use large coils that extend horizontally into the tank and heat the water. The coils in water heaters are very similar to the ones in an electric oven. There are either one or two coils in the tank. If there is one coil in the tank then it heats the whole tank up at once. If there are two coils in one tank then it has the quick or fast recovery option available. What Size of Tank? 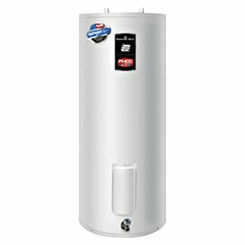 - The size of tank you want for your electric water heater depends on several factors. One of the main factors is how many people you have in your household. We recommend for 1-3 people to get a 40 gallon tank, 4-6 people 50-60 gallon tank, and 6-8 people a 60-80 gallon tank. 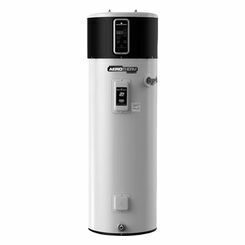 First Hour Recovery - First hour recovery is an important thing to consider when your electric hot water heater must serve a bigger household. First hour recovery ratings determine how much water can be reheated in the first hour after use. The way it is calculated is by adding the water tank size to the amount of water your water heater can reheat. So if your tank can hold 40 gallons and can produce 30 gallons of hot water in the first hour, then your recovery rating would 70. We recommend that if you have a large house hold that uses hot water in large quantities to get an electric water heater with a first hour recovery rating of 50 or higher. Quick or Fast Recovery? - How the quick or fast recovery works is your water heater has 2 electric coils in the heater. One of the coils is located at the top of the tank and the other is located on the bottom of the tank. There are also 2 thermostats located next to each of the heater coils. Those thermostats have sensors on the tank wall. Those sensors trigger the thermostat to turn on the coils when the walls get cold due to the water temperature dropping and turn it off when the walls get warmer. When the electric hot water heater is completely cold the top coil heats up the top of the tank. Once the top of the tank is heated the bottom coil heats up the bottom of the tank. The bottom coil is used to maintain the temperature of the tank. When you deplete the water tank of hot water then the top one starts the cycle again. Another thing that the quick recovery does is that it allows when you use hot water to start heating the bottom full of cold water, faster than water heaters with only one coil. We are the plumbing leaders online. 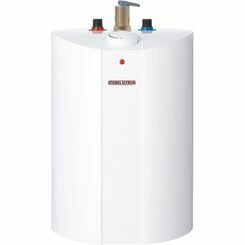 If you have any trouble finding the best water heater for your home, then contact one of our friendly professional agents. Our staff is knowledgeable and ready and willing to offer you help with your purchase.  With great prices and excellent service it’s no wonder we are the top consumer choice. We also carry a huge selection of water heater parts, as well as accessories.